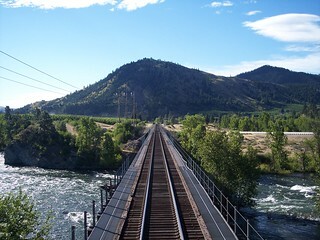 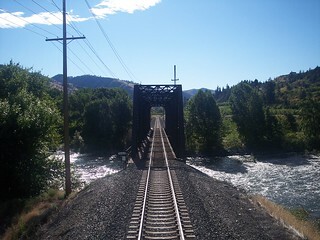 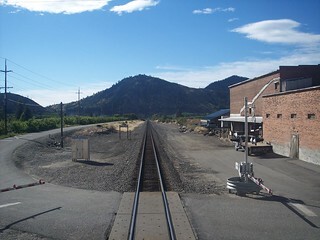 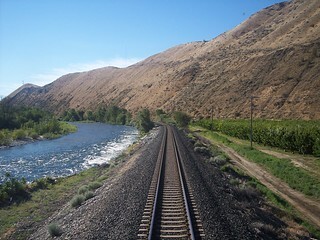 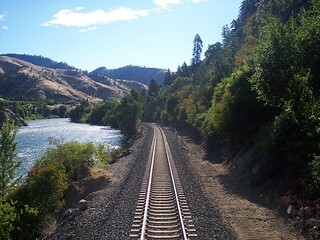 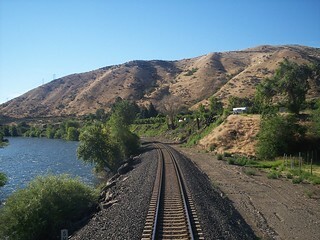 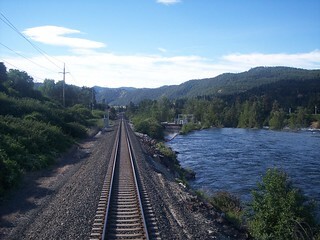 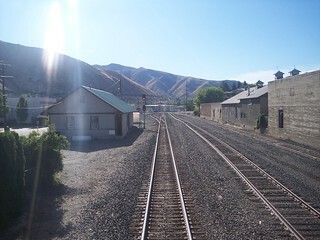 The Empire Builder follows the Wenatchee River between Leavenworth and Dryden. 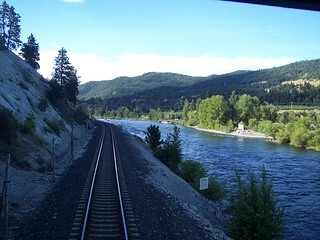 Our train passes through Dryden. 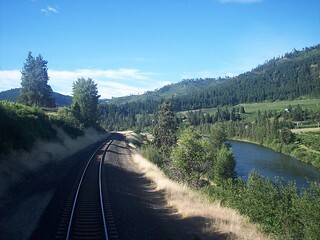 The vegitation continues to disappear as we descend through Cashmere toward the Columbia River Valley. 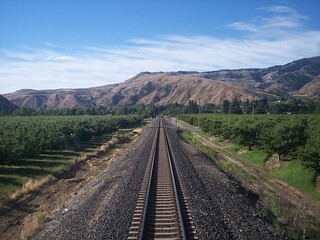 Once in the valley we see orchards and barren hills.